The Energy Union package recently announced by the European Commission is a step forward in that it puts market liberalization and integration at the centre of European energy policy, writes Carlo Stagnaro, senior fellow at the Italian free market think tank Istituto Bruno Leoni. At the same time, it is still strongly influenced by the idea that government intervention is required to ensure both security of supply and sustainability. As a result, it does not resolve the many ambiguities of European energy policy. Not yet anyway. Will the Energy Union package become a tool to make energy more affordable, secure, and sustainable in Europe? Or will it kick off a new wave of regulation? Much will depend on the implementation—as is often the case. On 25 February, the EU Commission released a package of three communications that address, respectively, the very concept of Energy Union, the road to the Paris climate negotiation later this year, and the target of making the EU’s electricity markets more interconnected with each other. With respect to previous statements and strategies, this time credit should be given to the Commission for not lacking clarity and, more importantly, being aware that energy, climate, and security policies should achieve a greater degree of coordination. Moreover, the EC Vice-President Maroš Šefčovič and Energy Commissioner Miguel Arias Cañete emphasised the central role of market liberalisation and integration, both within and across member states. This is an important step forward: in the past, too often efforts to open the market ended up with being at odds with aggressively interventionist environmental policies (with particular regard to renewable energies support scheme). Markets are also seen as an effective tool to promote both sustainability and security. In fact, the larger and the freer the market, the more efficient the utilisation of the installed generation capacity. All else being equal, theory suggests—and evidence supports—that energy would be cheaper, the most costly and polluting power plants would be displaced, and supply interruptions can be offset. 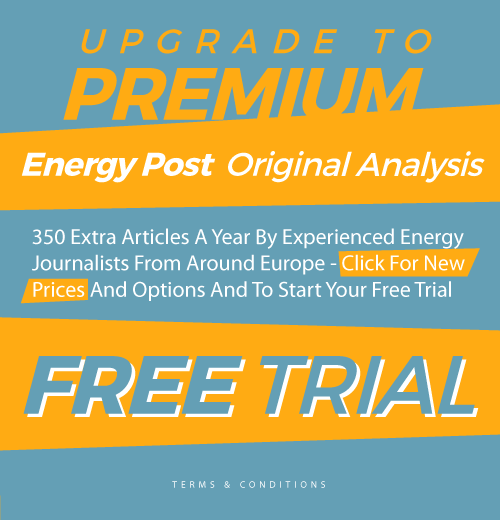 At the same time, the Energy Union package is still strongly influenced by the idea that energy security and sustainability cannot be reached by relying on market-based mechanisms alone. Therefore the temptation is looming to intervene with more stringent regulations that, generally speaking, would rather pick technological or market winners and losers than making the general goal of security or sustainability more easily achieved. Yet, as I argue in a forthcoming Briefing for Epicenter, well-functioning markets can provide an effective response to competitiveness, security, and environmental questions. For example, while it is clear that energy security is by and large an issue of cross-border infrastructures, the bizarre idea of creating instruments for the common bargaining of purchases of natural gas is still around. Under a liberalised framework, though, market operators, not national governments, are in charge of making contracts, choosing their supplier, and finding the optimal combination of long-term and spot supply. If governments come into play, at the very best they can distort the markets by imposing extra costs (under the reasonable assumption that they would over-invest in security, for example by increasing the share of long-term contracts). They would also be prone to regulatory capture, a risk that is particularly high in countries where state-controlled incumbents are still dominating the market. If energy security is to be increased, the EU should focus its efforts on removing the regulatory and political barriers that prevent the existing infrastructures from being fully exploited, and that hinder the building of interconnections. Speaking of natural gas, for example, the dramatic under-utilisation of Europe’s (particularly Spain’s) LNG terminals is magnified by the lack of sufficient transport capacity eastwards, while several Eastern European countries are totally or mostly dependent on Russia. If you have overcapacity on one end and full dependence on an external, unreliable supplier on the other end, you should lay down pipelines, instead of wasting time and money on sophisticated governmental consortia for buying gas. If more diversification is to be achieved, then free trade, not politicisation, is the answer (ironically, TTIP, the EU-US free trade agreement that might allow some of America’s booming shale gas production to be shipped to Europe, is not even mentioned in the Communication). The same applies to climate policies. In the past few years national governments have adopted a wide range of renewable support schemes that imposed large costs on consumers, while delivering dubious benefits. Several member states, including Germany, Spain and Italy among others, had to cut down their subsidies. In fact discretional subsidies have little to do with environmental policy. They are quintessentially instruments of industrial policy. The EU, alas, does already rely on a specific tool to cut its own emissions, i.e. the Emissions Trading Scheme, a cap-and-trade scheme whereby a cap is given to emissions and it is left up to emitters to find the most cost-effective ways to stay below the cap. If it is serious about reducing carbon, it should rather focus on the ETS. That, again, presupposes on the one hand that the ETS itself is the cornerstone of Europe’s climate policy—hence it should not be “reformed” each time politicians believe the carbon price is either too high or too low as compared to their expectations. On the other hand, open, competitive, integrated markets for energy are required to ensure that inefficient plants or outdated technologies both to generate and to consume energy are not made artificially profitable. New regulatory instruments—such as the creation of capacity support schemes—should be avoided or, at the very least, coordinated at the EU level in order to prevent them to disrupt market integration. That also implies that wholesale and retail markets should be fully liberalised, cross-border interconnections need to be deployed, and distortionary policies must be scrapped out. At the end of the day, the Energy Union package opens a major window of opportunity to reconcile energy liberalisation with climate and security policies, which until now deviated significantly and consistently from the free market paradigm. To some extent, the recent communications seem to push in the right direction, but ambiguities are ubiquitous. Only time will tell whether Energy Union encompasses a genuine effort to make the functioning of energy markets more smooth, or it is just another political promise. Carlo Stagnaro is senior fellow of Istituto Bruno Leoni (www.brunoleoni.it), a Milan-based free market think tank. He is on Twitter @CarloStagnaro. This article was first published on the internet service Capx and is republished here with permission. This rather misses the point: ETS & cap setting is a political process – in which the needs of individual member states have drowned out realities, for example rising RES, falling demand. Once realities no longer figure in cap setting then ETS shifts from being a tool (with which to price carbon) to an ornament or fig leaf (take your pick) that the EU hopes will impress the USA or China. Most people I speak to in Bx think that ETS is a zombie – it does nothing, wastes polticos time and the only believers sit in DG Clima (where careers depend on ETS success). Its main cheer leader, Mrs Day, will depart EC shores this year – it will be interesting to see what happens after that. In the real world ETS would have been dead and buried long ago – this tells you a great deal about EC mind-sets, delusional thinking and the power of cognitive dissonance. Of dear have I upset somebody? (I do hope so).